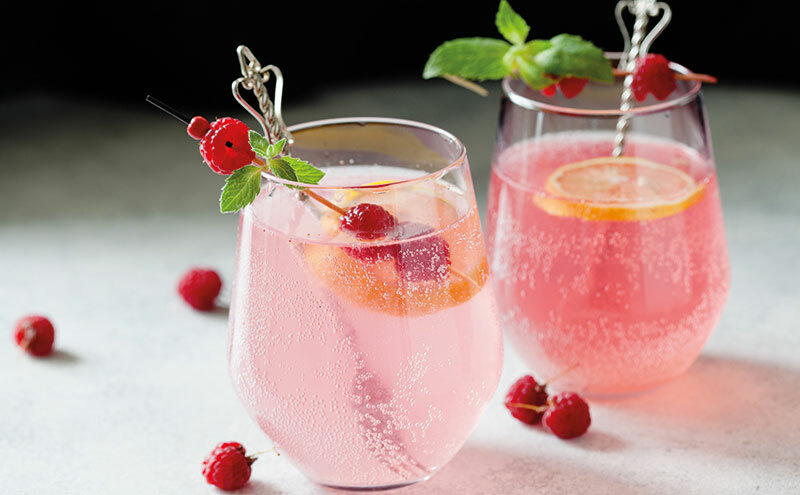 PERHAPS the most emphatic recent development within the flourishing world of gin has been the explosion of pink and flavoured gins. The growing popularity of such options in pubs and bars was laid bare in statistics provided by Diageo. “Pink gin and pink gin liqueurs are now stocked in over 65,000 outlets in the UK – a growth of 56,000 in the last year,” a spokeswoman for the drinks giant said. Moira Swan, drinks buyer at Inverarity Morton, which supplies over 100 gins to the on-trade, said the look and often sweet flavour of drinks in the subcategory has helped garner a loyal following and advised licensees to stock up on flavoured gin variants. She said: “Flavoured gins are driving sales at the moment. “The rise of pink gins has been unprecedented in 2018. 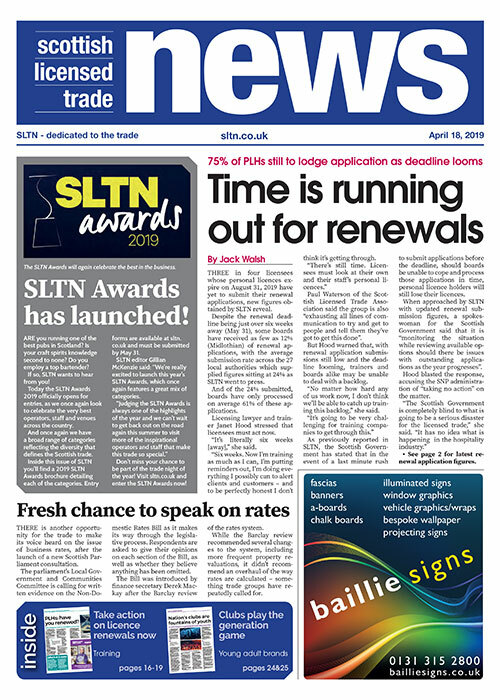 Expansion of flavours and colours will continue in 2019. 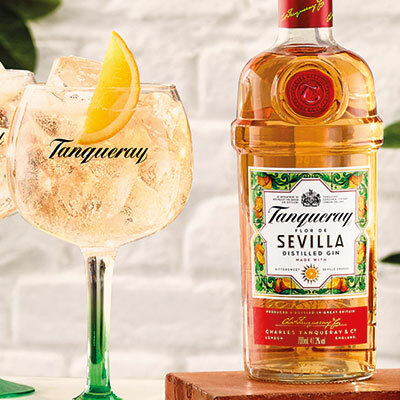 Margaux Maupate, brand manager at Indie Brands, distributor of Puerto de Indias Sevillian Strawberry Gin, seconded that view. “The key trend will continue to be around flavoured gins. To me this is one of the reasons why gin is so popular at the moment,” she said. Leading flavoured gins are becoming must-stock items along with established gins. “Not only did producers start looking for more exotic or unusual botanicals, but they now start experimenting with non-citrus fruits too. 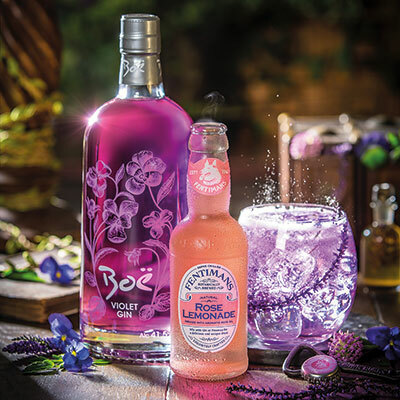 Carlo Valente of Boë Violet Gin parent firm VC2 Brands reckons a bespoke approach for individual outlets is the best way forward. “My advice is listen to the customers; not all bars will be the same but there is no doubt there are some gins that are becoming must-stocks,” he said. The importance of incorporating local provenance was highlighted by Pickering’s Gin’s global brand ambassador, Paul Donegan, who suggested that bottles of gin produced in close proximity to bars would not be full for long. He said: “I’d look for a strong connection to the area that the bar is based – nowadays, people travel in order to experience the ‘reality’ of a place, gone are the days when scared folk far from home would look for recognisable products and shun those they didn’t know. “The more local you go the more diverse your offer becomes. Method: fill a Copa glass to the top with quality cubed ice. Add gin then follow with tonic water. Garnish with orange wedge. Method: add ice to glass then add the gin and mixer. Stir gently. Garnish with a pink grapefruit twist.